Each October for the past four years, the creative community has taken social media by storm to celebrate #ArtsMatterDay. By sharing hundreds of pictures and videos – and of course, art – we’ve shown why arts matter to us. This year, Puppet Showplace is celebrating how #ArtsMatter to us by looking at all the ways that puppetry builds connections in our minds, bodies, hearts, and in our community! 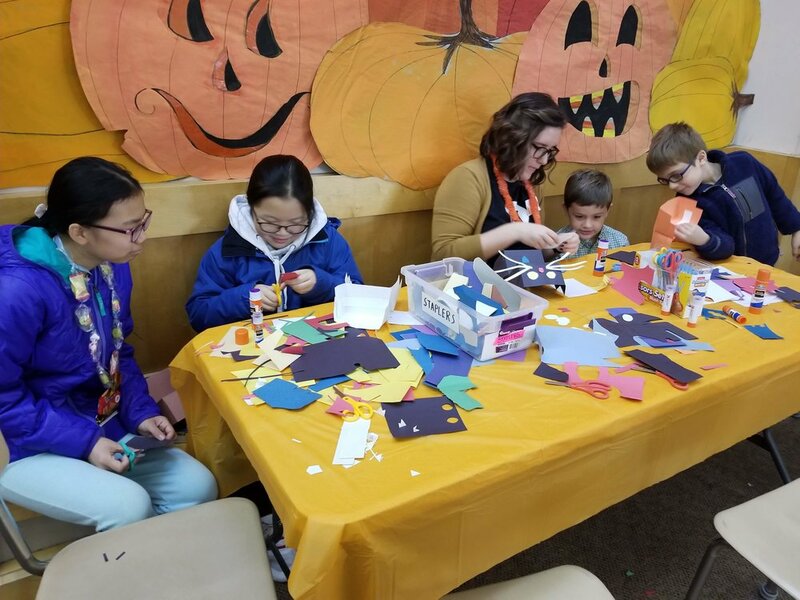 Box Office Associate Lakyn leading a puppet making craft at Lincoln School Pumpkinfest. Puppet Showplace believes in the power of art, puppetry, and live performance to unite communities and build connections throughout Boston and around the world. In the last year, Puppet Showplace has brought puppetry performances, workshops, and outreach activities to schools, camps, and community centers throughout the Greater Boston area. We have also built connections with the international community by presenting touring performances by puppeteers from Italy and Wales. Here in Brookline, audiences build connections by experiencing our handcrafted and heartfelt shows with generations of family and friends every single week! Arts connect people of all abilities! Artistic Director Roxie and special guest Nick Gallop of the Asperger Autism Network with the cast of Hijinx Theatre of Wales at an ASL-interpreted talkback for “Meet Fred” at the Boston Center for the Arts. Join us in celebrating #ArtsMatterDay TODAY! Have you built connections with us here at Puppet Showplace? Share your story, or another reason why #ArtsMatter to you in the comments, or use social media, and tag us @puppetshowplace! 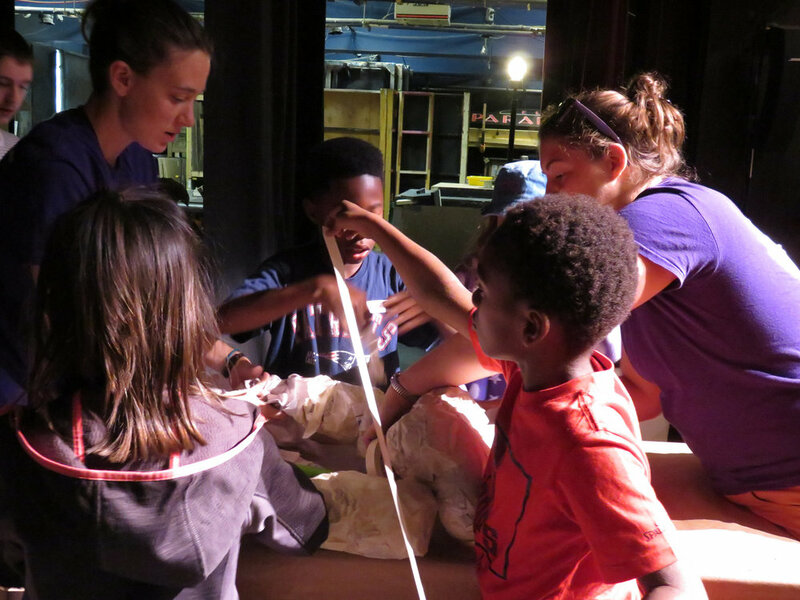 Resident Artist Sarah and Artistic Director Roxie collaboratively making puppets with 30+ campers in Summer Puppet Academy at Wheelock Family Theatre. Visit us on Station Street to experience our community for yourself, and find out first hand how #ArtsMatter to us here at Puppet Showplace every day. See you at the theater! Newer PostLegends Near and Far! Older PostNew England Puppeteers: Spend a Month in Montreal!